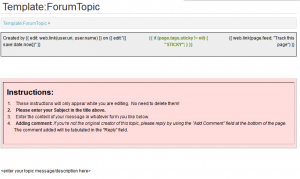 A recent comment on my Mindtouch intro page asked how I built the discussion board. I originally got the code from the Mindtouch Developer site here, however I can’t seem to find the complete source code anymore. Either way, I’m pretty sure neilw, a valuable contributor to the Mindtouch community is the author of this code and full credit goes to him. The actual implementation is very simple. You just need to make a couple of templates. You can modify this template to include whatever instructions you like. 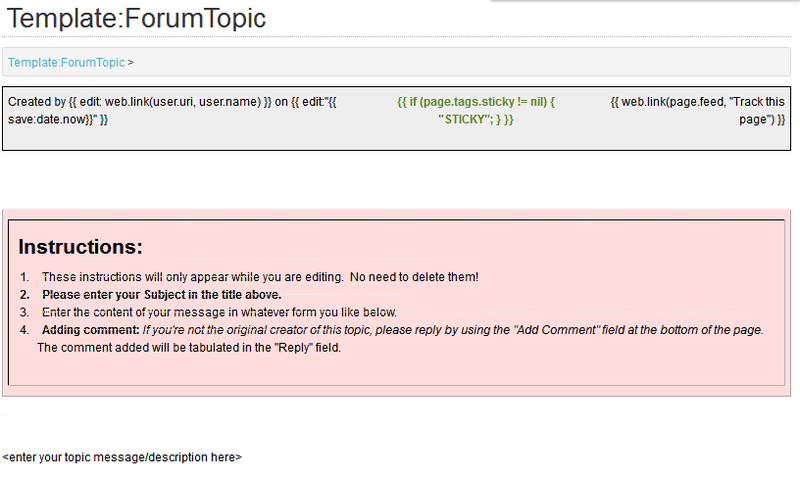 When others comment on the page that’s created, it will count as “replies” and show in the topic list.